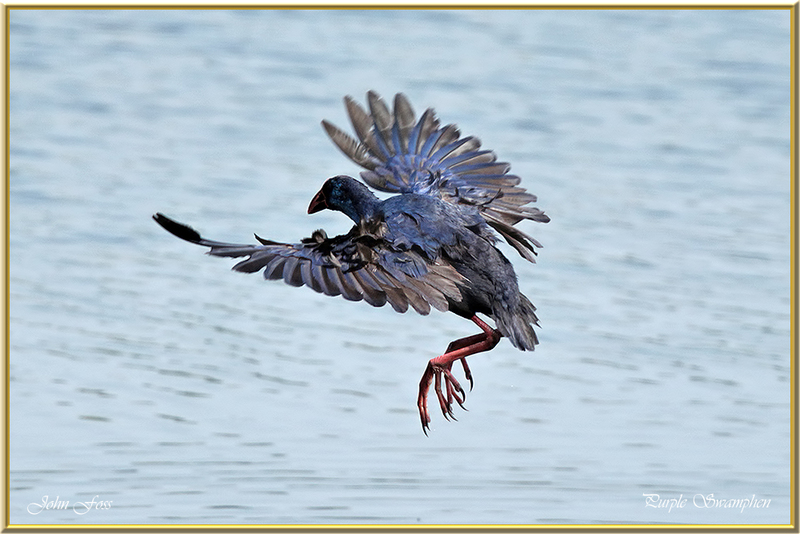 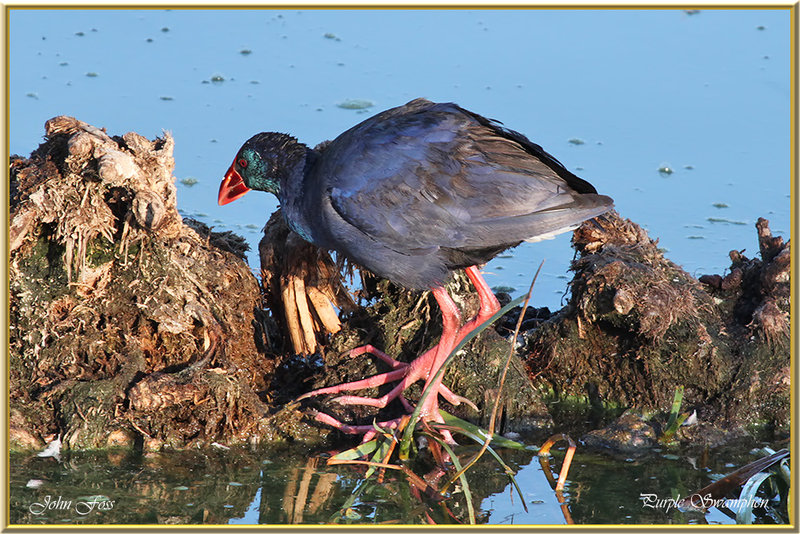 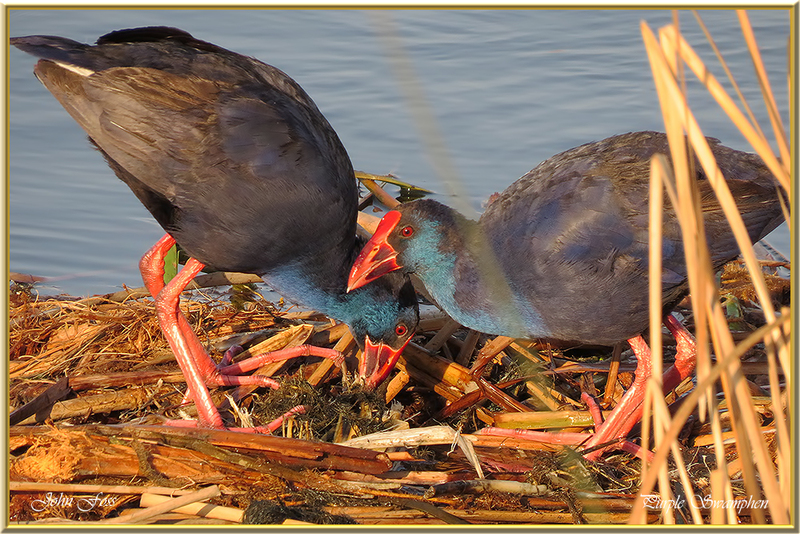 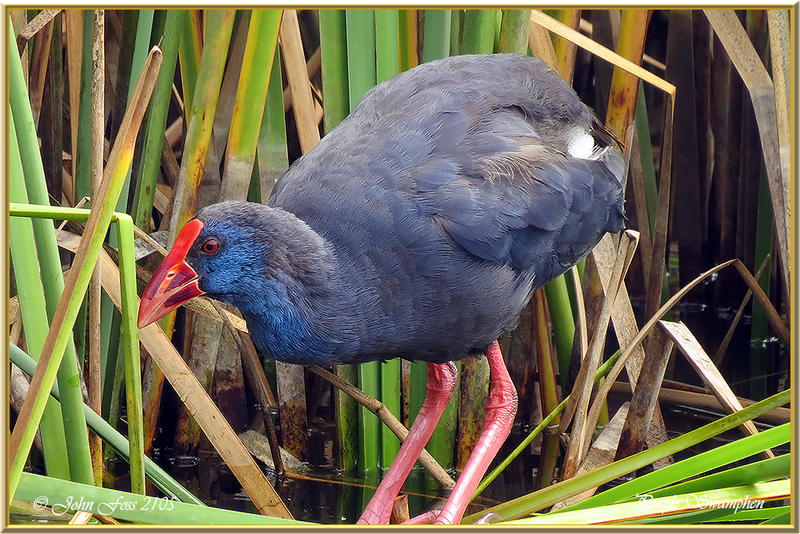 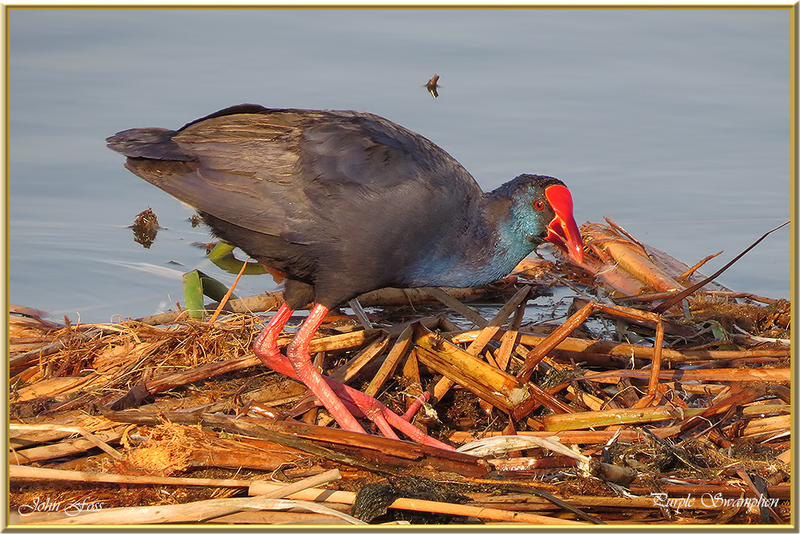 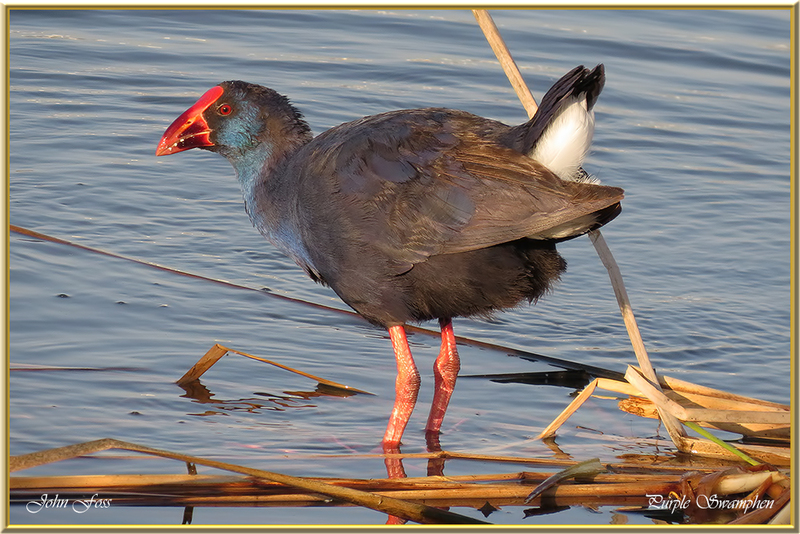 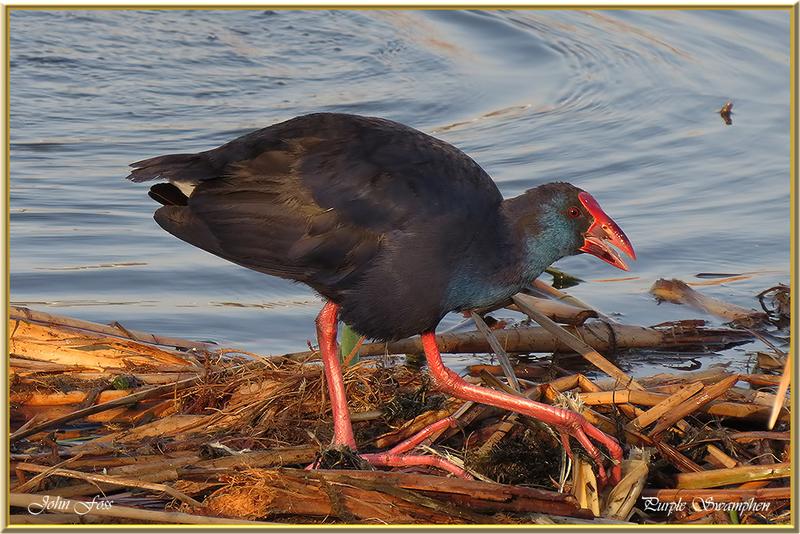 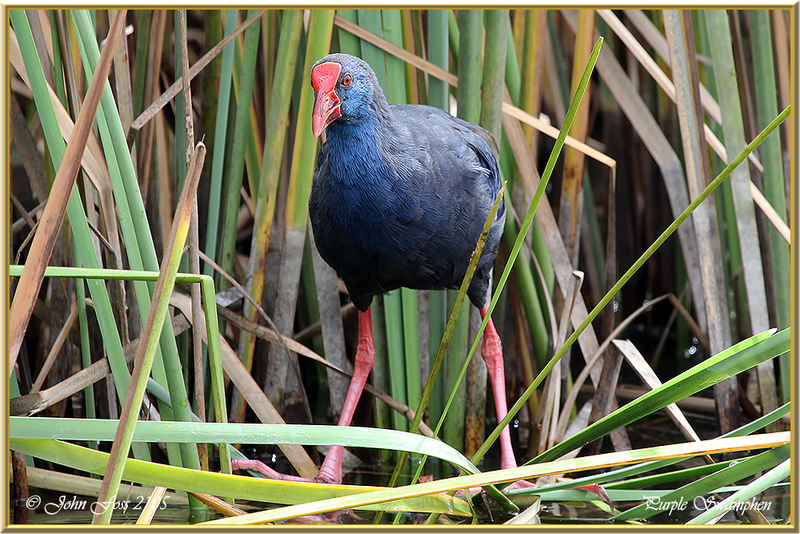 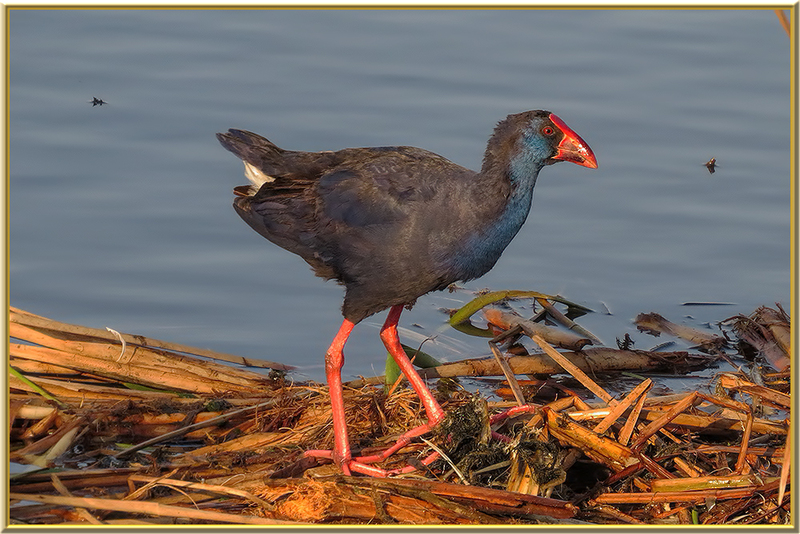 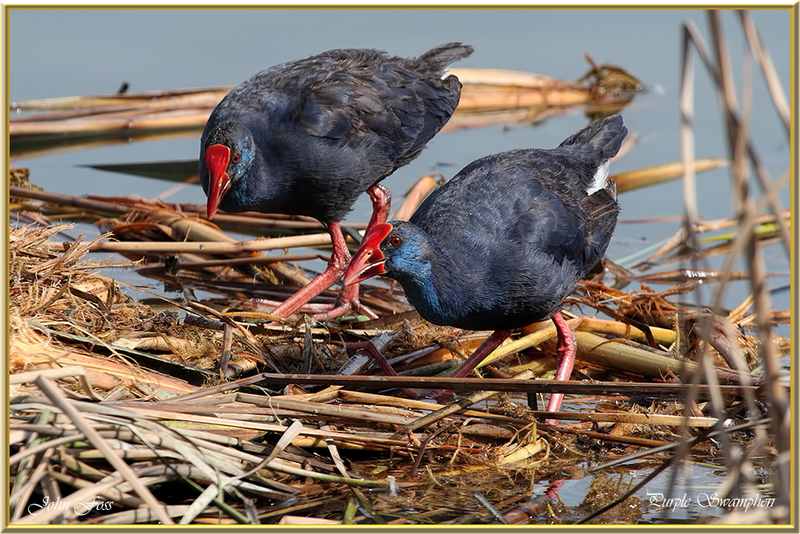 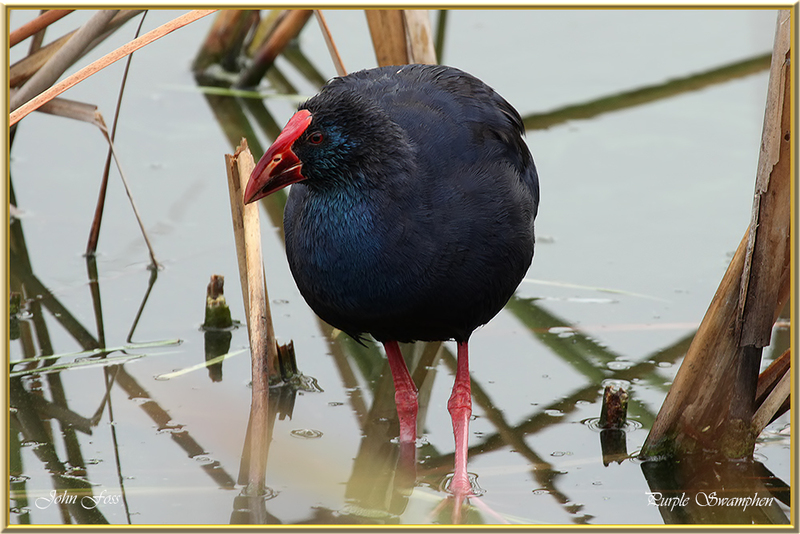 Purple Swamphen - The Purple Swamphen or Purple Gallinule is a handsome bird of the rail family. 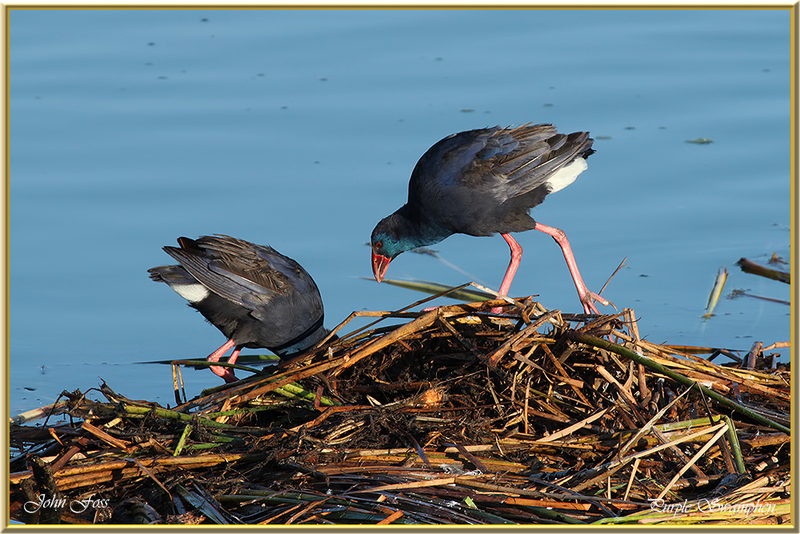 They frequent lakes and marshes with reeds and bulrushes where they nest and clamber around on broken reeds. 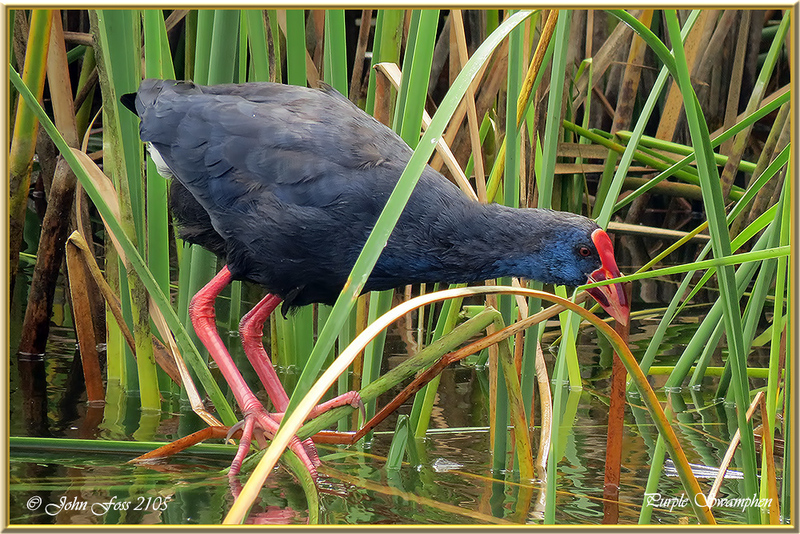 It feeds on the tender shoots in the reeds. 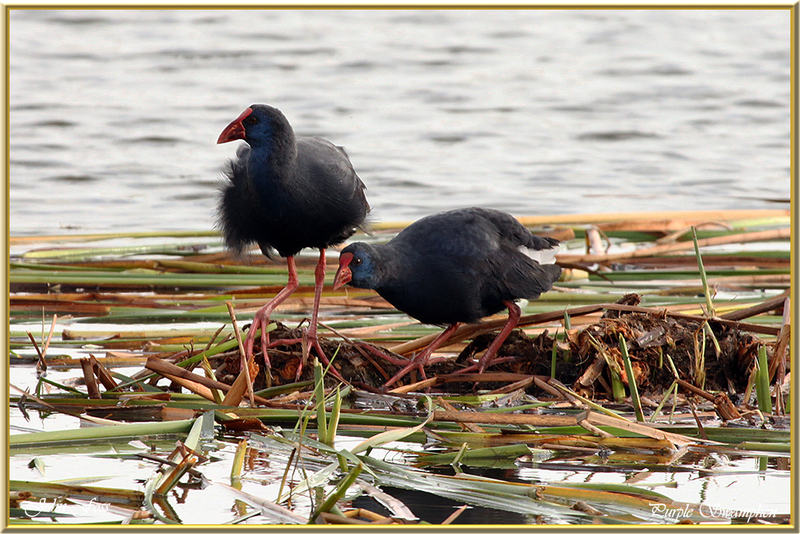 They can be observed digging for these tender shoots and are interesting to watch as they tug away to get to them. 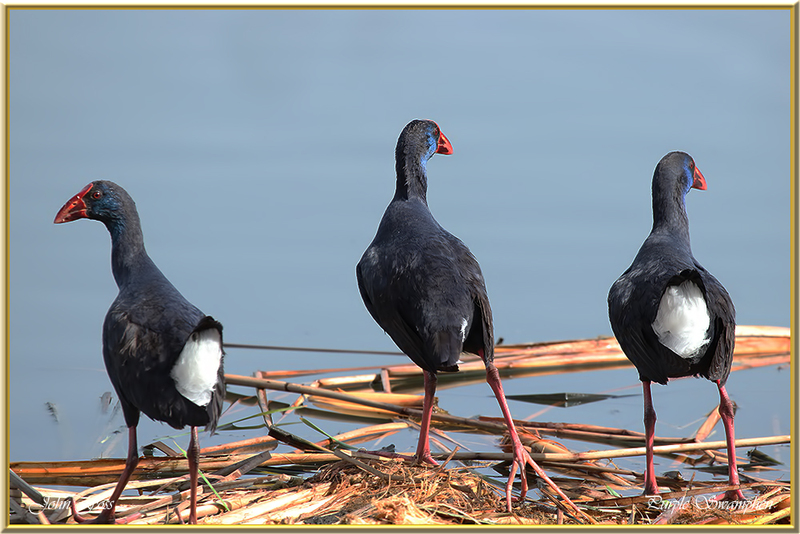 In Portugal where these photographs were taken, population declined in the 20th century. 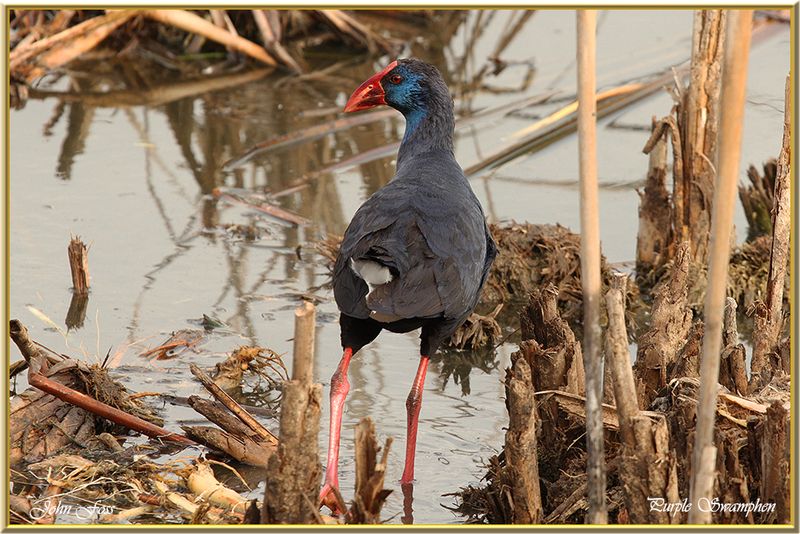 Thanks to protection it is now on the increase although it remains rare with a somewhat fragmented distribution there. 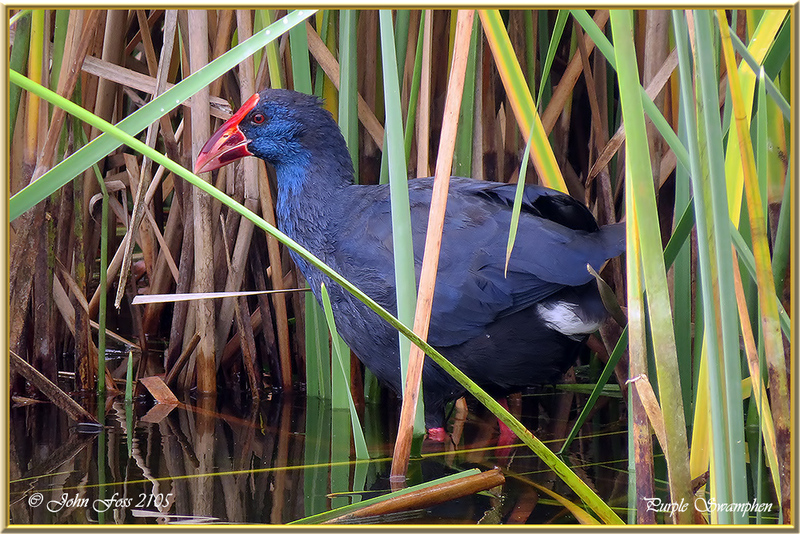 Photographs taken in the Algarve at Vilamoura reedbeds and Quinta Do Lago Portugal.